Painting has been declared dead many, many times – and not just by the Constructivists in the aftermath of the Russian Revolution (see our review of the exhibition “Red” at the Grand Palais) – but the patient always makes a miraculous recovery. 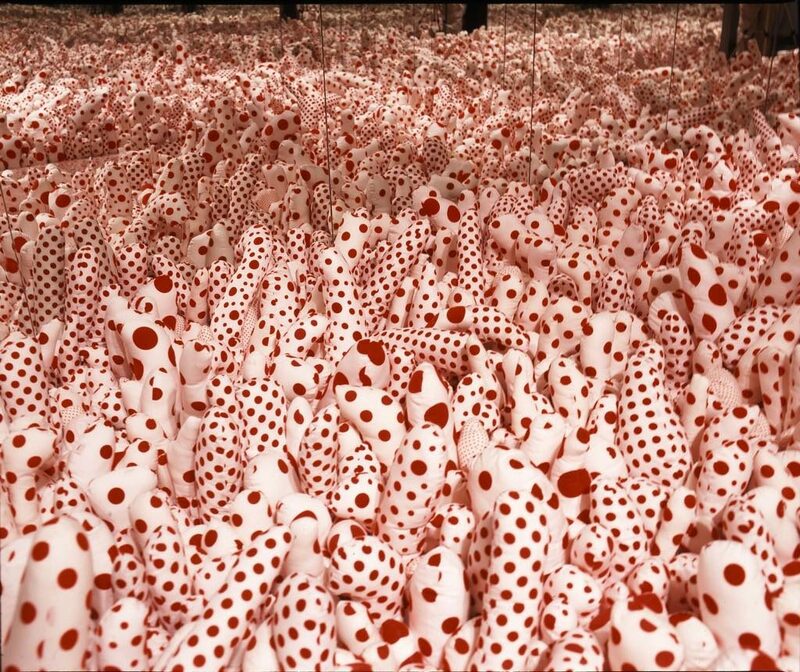 The current exhibition at the Louis Vuitton Foundation celebrates the role of painting in its collection of modern and contemporary art. The exhibition looks at two aspects of painting: the widely varied ways artists use their materials, and how some use new techniques to “extend painting’s territory and create a new relationship to space.” In other words, artists being artists, they always want to try something new. The “paintings” here are made of every imaginable material, from found metal (Raymond Hains) to inkjet printer ink (Wade Guyton) or scraps of paper embedded in resin (Mark Bradford). Christopher Wool silkscreens his own paintings, to beautiful effect, and presents the printed version as the original. Nick Mauss paints on glass and mirrors. Then there are artists like Dan Flavin and François Morellet, who “paint” with light. Other artists innovate not with materials, but in their methods. Bernard Frize has assistants paint his colorful geometric works with a paint gun, allowing chance to have its way, while Niele Toroni applies paint at regular intervals using different colors and surfaces. 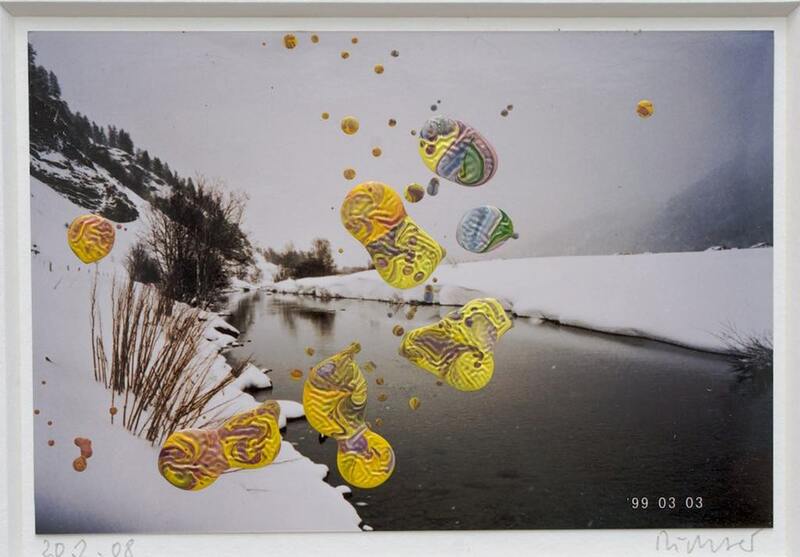 A few artists are spotlighted with mini-solo shows within the group exhibition. 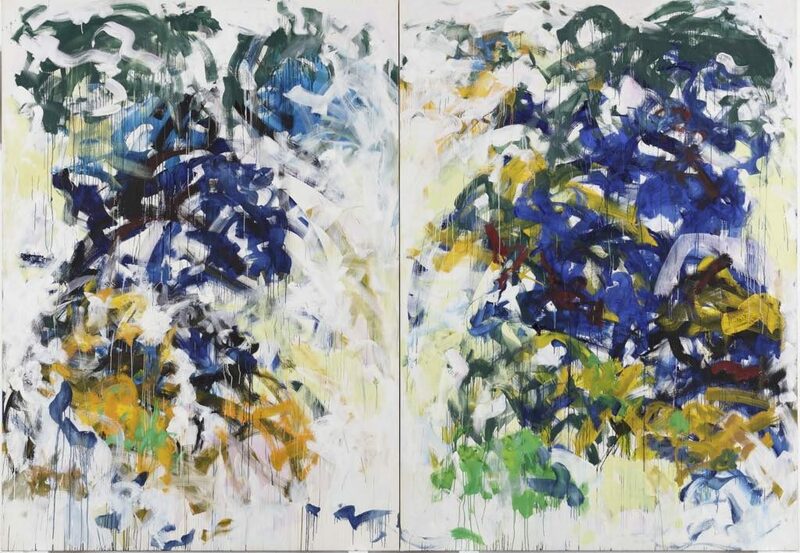 Among them is Joan Mitchell, one of the rare women to succeed in the macho boy’s club that was the American Abstract Expressionist movement. The exhibition kicks off with a room displaying seven of her nature-inspired large-format paintings from the 1970s and’80s, when she was living in France, that are more in what she called her “Abstract Impressionist” style. Another room features a variety of works by Gerhard Richter, ranging from the subtle and beautiful “Gray (898-16)” (2006) in shades of gray speckled with green, to the brightly colored “4900 Farben” (2007), made up of different colored squares of lacquered metal, and “Wald (3)” (1990), one of his shimmering “scraped” paintings in gorgeous colors. 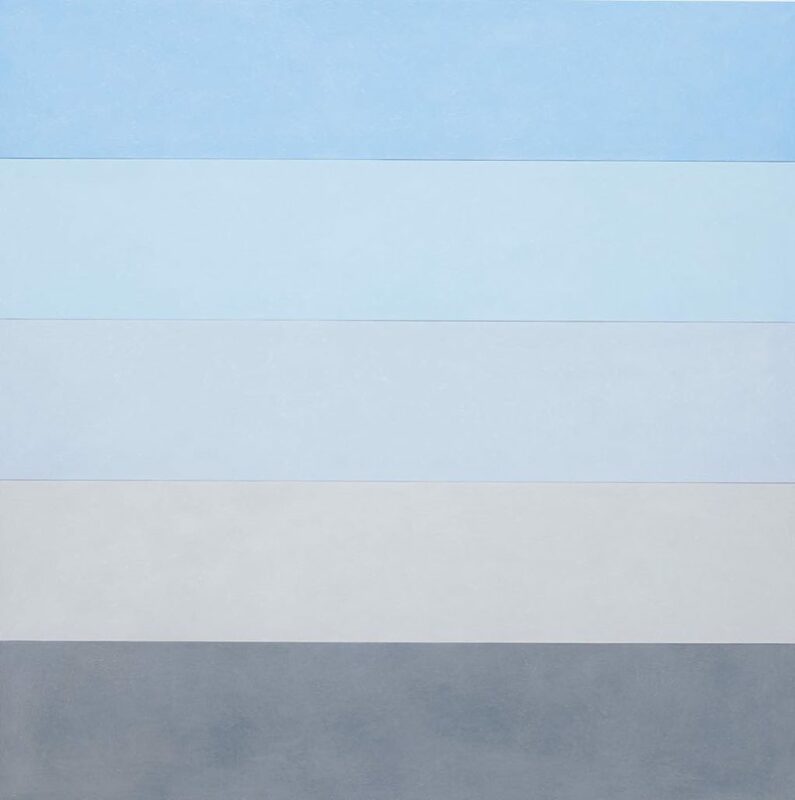 Five works by minimalist Ettore Spalletti in shades of pale blue and gray create a meditative space, while Alex Katz, whose brightly colored works are shown in the next room, is one of the rare representational artists on show. This enjoyable show proves that painting has managed to stay alive and well even with all the changes and challenges it has encountered, at least by these artists who have been consecrated by time. What the next generation does with or about it may be another story. I’m currently reading Ninth Street Women by Mary Gabriel about the women of the Abstract Expressionist genre. Subtitled “Lee Krasner, Elaine de Kooning, Grace Hartigan, Joan Mitchell, and Helen Frankenthaler: Five Painters and the Movement That Changed Modern Art,” the book clearly depicts the inclusion of women artists among their peers during the Depression, followed by their demotion to accessories of male artists as the stars of the European art world fled to the US for safety in the build-up to WWII. The detailed description of life in NYC’s art scene during this period in history is fascinating. Well worth the read. Open Monday, Wednesday & Thursday; Friday, Saturday & Sunday, 9am-9pm (until 11pm on first Friday of the month). Closed Tuesday. During school holidays, open daily 9am-9pm.